Archives - University Dogs, Inc.
Abby (pictured right) was shocked when they announced the award. The trophy (we named Gus) is now in safe hands and is looking over the University Dogs team and their daily satisfied patrons. On May 7th, 2015 we participated in the Greater Decatur Chamber of Commerce: Taste of Decatur. Guess what? We won! 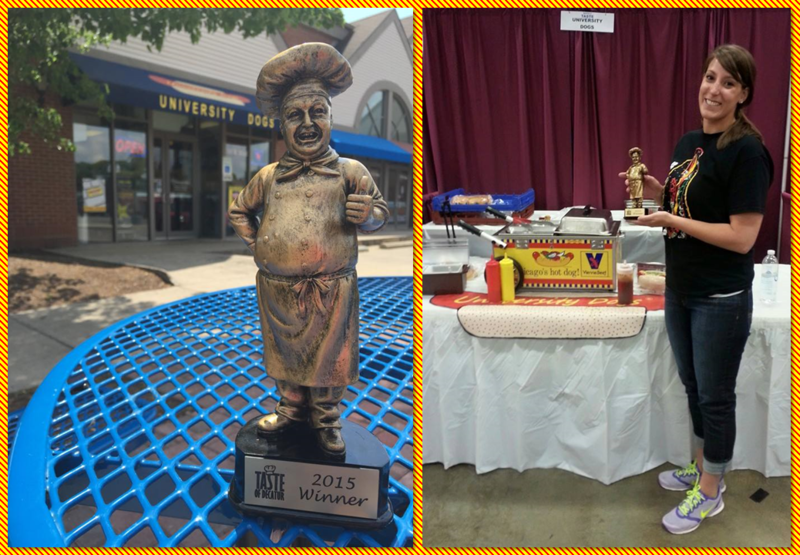 The U Dogs team placed 1st out of 18 other local and national resturant brands. Our award winning BBQ Pulled Pork & Hot Dogs were obviously a hit!